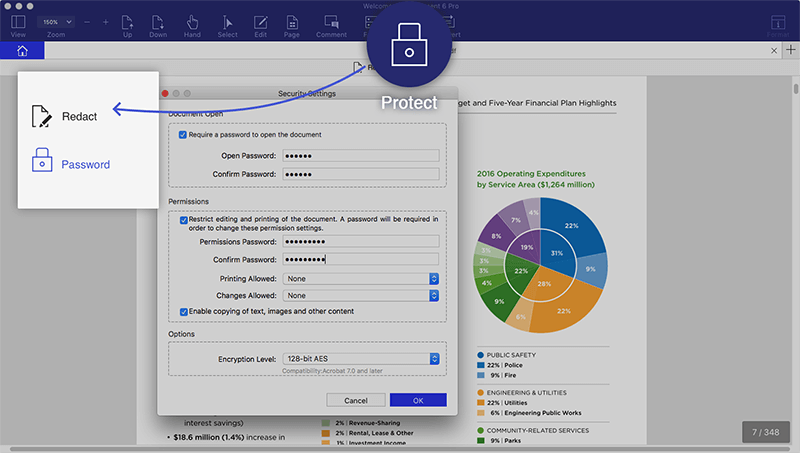 Create high-quality PDFs with a complete set of tools to create, edit, convert and sign your PDFs, and more. Best of all, it's affordable. 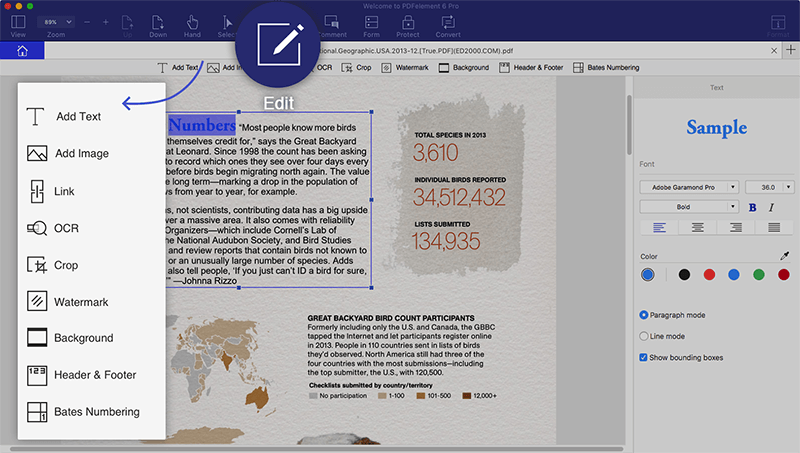 The easiest way to edit Microsoft™ Office files without compromising formatting and style. PDFelement 6 is here, with a re-designed interface and powerful features. Quickly locate and link to points of interests within your PDF or external webpage for easy, intuitive navigation. Intuitive paragraph and single line editing tools reflow text to maintain document style. 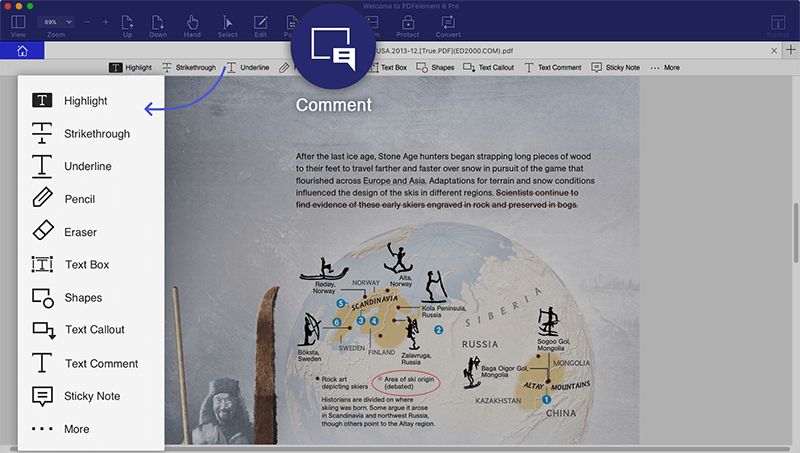 Turn paper documents and scans into fully editable, selectable and searchable PDFs in over 25 language. Leverage our intelligent form technology to extract PDF data from hundreds of identical forms into a single Excel sheet in seconds. Instantly and accurately convert piles of paper documents into office files for archiving and analysis. Create a template from scratch. 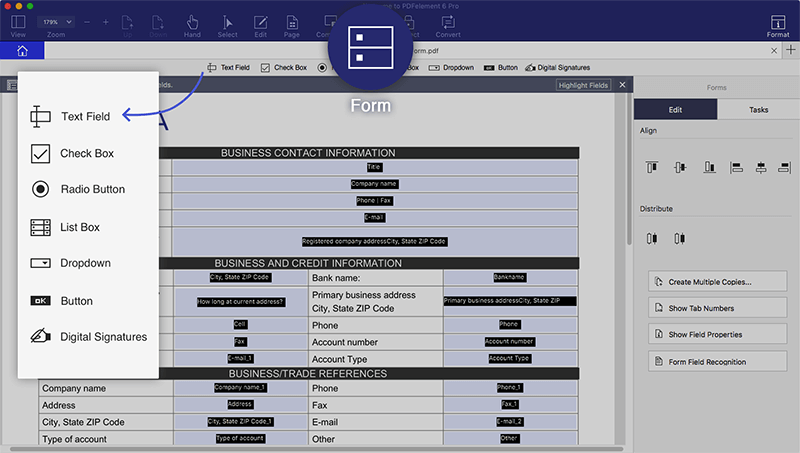 Or draw from PDFelement's extensive template library of 8000+ forms used across different departments and industries. 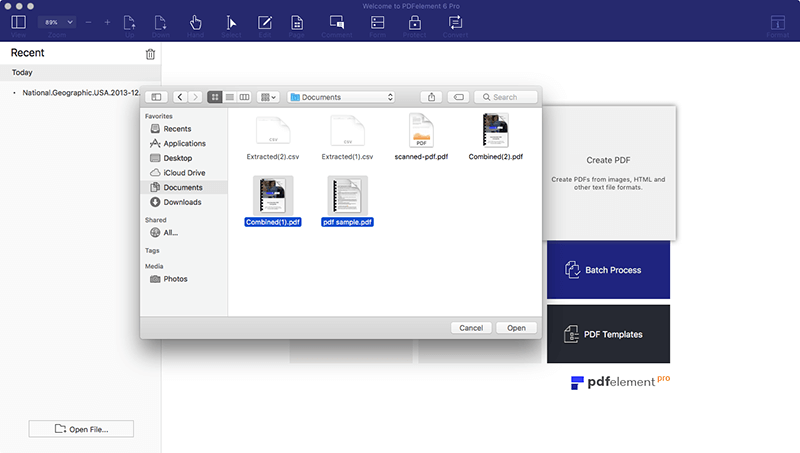 Combine different files and file types into a single PDF. Apply unique labels to PDFs for easy organization and indexing. Convert PDF to PDF/A, the archival version of the PDF file format, for long-term archiving. Turn multiple PDF files into Microsoft™ Word, Excel, PowerPoint formats and more at one time. Apply industry-standard electronic and digital signatures for easy document verification, or create personalized signature from image of your handwritten signature. Permanently blackout sensitive content with custom colors and overlay text. Share revised PDFs directly to Dropbox, or attach them as an email right from the interface. Sticky notes, comments and text boxes allow for easy collaboration of ideas. Markup documents for review with highlights, cross-out, underline, and text tools. 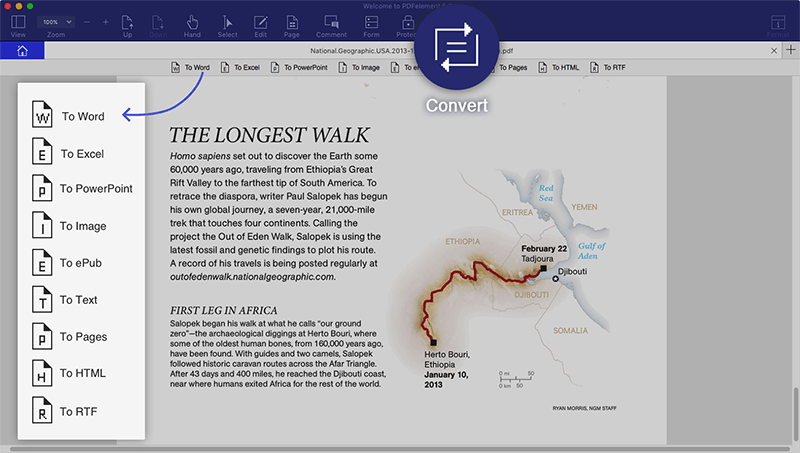 Apply familiar shapes and drawing tools to your PDF, like lines, rectangles and arrows. Insert commonly used stamps and manage a collection of custom stamps. Internet connection is required for version updates, activation of paid features and product license. Learn, connect and let our experts help you get the most from our products. Get the most out of PDFelement with our helpful video tutorials. Explore tips, tricks and ideas to help you empower your documents.